Moving is something most people only do a few times in their life, so they don’t have the chance to build up an expertise like those who work within the moving business. 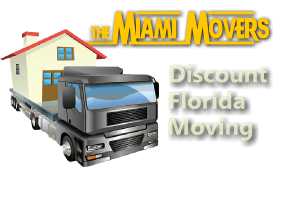 Below are some of the most frequently asked questions that we receive here at Miami Movers regarding the moving process. To learn more about what we can offer your move, or to schedule a free estimate, contact us today. Working with a professional team such as the one here at Miami Movers will help you to streamline your moving process and make it less-stressful from start to finish. We have the experience and the equipment to handle even the most-difficult items, so you don’t have to risk handling them yourself. Moving all of your possessions from one place to another is a big task, and one that is far more likely to be done right when you hire an experienced moving company. How long will it take to complete my move? There is no way to answer this question specifically because each move is so different. It depends on how much stuff needs to be moved, how far you are moving, how much packing you have already done, etc. 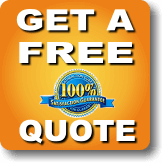 If you would like more specific information regarding your upcoming move, contact us today for a free estimate. How far in advance to I need to book my moving date? As soon as possible is always best. Even if you call to check on dates and they are available one day, doesn’t mean they will still be available the next. As soon as you confirm the dates that you are going to be able to move in, call and secure your spot on the schedule. Should I get a written estimate for my move? Yes. It is always a good idea to get an estimate in writing so you can have documentation of the quote you are given. If anything changes dramatically during the moving process, you can go back to the original estimate and start from there to come to a fair conclusion. Without the estimate in writing, you can be at the mercy of the moving company. This is another question that is impossible to answer without more information about the amount of stuff you need moved, the distance of the move, and more. Getting an estimate is important because you can have a good idea of the cost of your move upfront, and plan accordingly before the time arrives to actually complete the move.